Can evolution be reconciled with the Bible? Ben Spackman is a Ph.D. candidate at Claremont Graduate University, and he says “Yes, but not the way people think.” He introduces us to the idea of “Concordism.” What is that? Ben: This is not a question that is answered easily within 30 seconds, because it requires dealing with assumptions that people don’t even know they have. The main one is something called “concordism.” It’s an assumption that science, especially evolution or the age of the earth or various aspects of that, and scripture are speaking the same language. They’re talking about the same thing and therefore they have to match up or one of them is false. They have to be in concord with each other. The assumption that Genesis is providing a natural history of the earth, a physical history of the earth, is simply not an accurate assumption, but most people have it. So you end up going in a couple of different ways. You have people who say, well, this is what my reading of the Bible says, so I’m going to make the science match that. You get young-earth creationists who say that the earth is only a couple of thousand years old. Everything was created more or less in its current form as we know it within the last couple of thousand years. Then you have the people who go the other way and they say, well, here’s what science tells us. So obviously that’s what scripture must be saying in some kind of veiled or poetic or metaphoric way. You may wonder why I decided to talk to Ben. He has a very interesting background. Ben: If you really want to understand evolution and how different religious people have thought about it, you need three different areas of expertise. You need to understand the science of evolution, at least basically. That’s what my two major rounds of science as an undergrad and then as a post-bacc premed have given me. I have more science than a lot of people. But you also need history, especially intellectual history of about the last 500 years. That is history of ideas. That’s where two of my three Ph.D. exams come in, American Religious History and Reformation History. My third exam will be History of Science. So I’m really getting at the history of the worldview that people have today that leads them to read Genesis in certain ways. What are the roots of that worldview, of those unspoken assumptions back 500 years ago? The third leg you need– so you need history, you need science, then you have to control the biblical interpretation. You have to be able to look at the Bible in its ancient setting, in its Hebrew and Aramaic and Greek. The problem is that many people who write about evolution are scientists. They don’t have the history and they don’t control scripture. Most of the people who write about this, well, let me limit myself to a Latter-day Saint context. Most Latter-day Saints who have written about reconciling science and religion or evolution have either been scientists, so they get the science down well, but they don’t do the history or the scripture. Most of the people who have written about it from a scriptural perspective, they don’t know the history. They don’t know the science. Because of our 19th century populist inheritance in Mormonism, that is, we were very skeptical of experts, very skeptical of clergy, very skeptical of authority telling us what this had to mean. If you look at all the books that have been written by a Latter-day Saints on this topic, the vast majority of them have no relevant expertise at all. They’re lawyers. They’re accountants. They’re doctors. They’re people who don’t really do the science. They don’t really do the history and they don’t really do the scripture either. So to my knowledge, I’m the only one who really has a foot kind of in all those different worlds, which is kind of a historical accident. I certainly didn’t choose to spend six years in graduate school and then be given the boot because of Babylonian or to not get into medical school. But in retrospect it’s worked out very well and my wife and I have been very lucky in certain ways. So that’s my story and my educational background. I consider myself an eclectic historian with different skills depending on the time period we’re looking at. 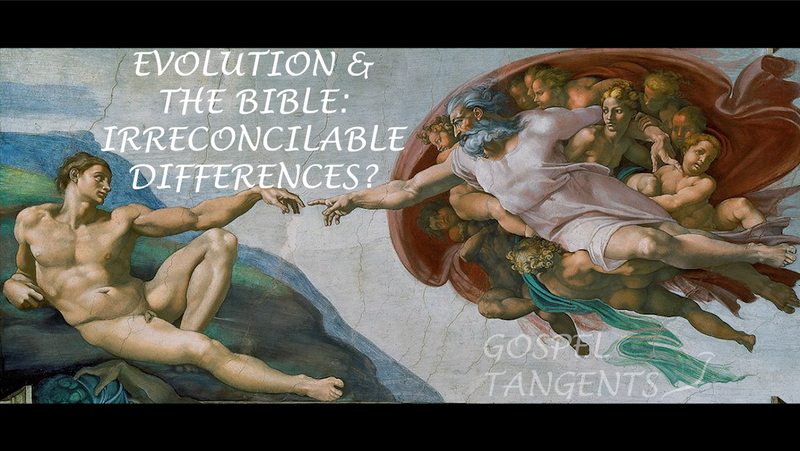 Ben Spackman discusses whether reconciling Genesis & Evolution is even an appropriate question.